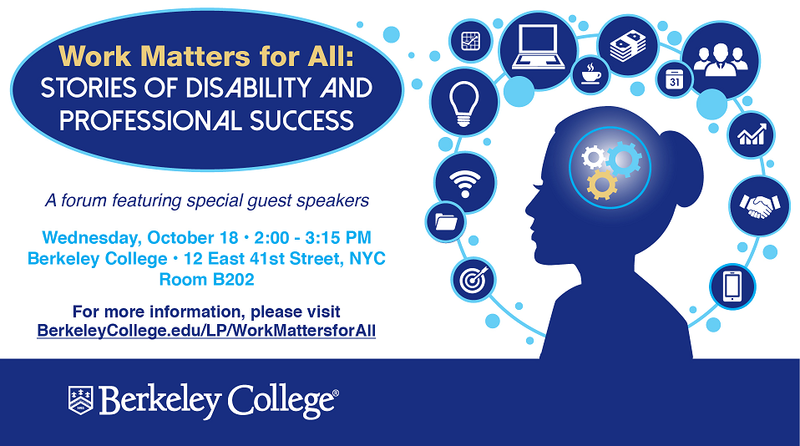 Convened in honor of National Disability Employment Awareness Month, we are excited to partner with Berkeley College for a panel discussion that spotlights individuals with physical, learning, and mental health disabilities who have been successful in a range of professional fields including, Legal Studies, Journalism, Human Services, and Workplace Management (featuring a few from the Diversability community). Hear about their unique achievements and challenges, their resources and support systems, and their advice for developing professional skills and pursuing dream-worthy career goals. A question and answer period will follow. Event is open to the public. Light refreshments will be served.